The hotel owns 13 business meeting rooms with different styles, which can accommodate meeting groups including 12-480 attendees. 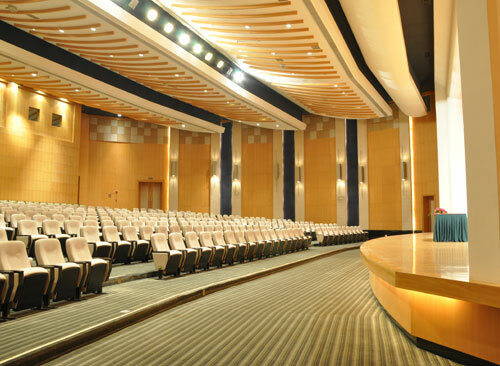 (International meeting hall provides advanced and comfortable intelligent meeting chair, international first-level meeting equipment, five-language simultaneous interpretation, digital voter, professional meeting stereo system, lighting and projection booth, etc. 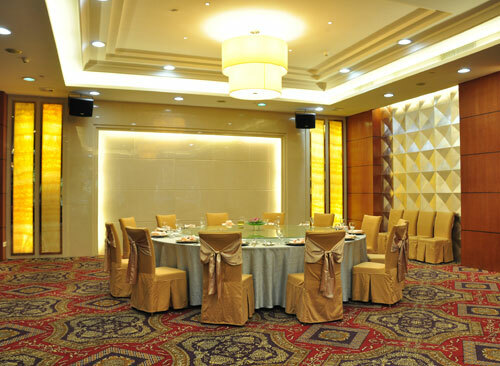 It also has a multi-functional banqueting hall with corresponding meeting equipment and gorgeous decoration suitable for various kinds of large-size, medium-size and small-size meetings. 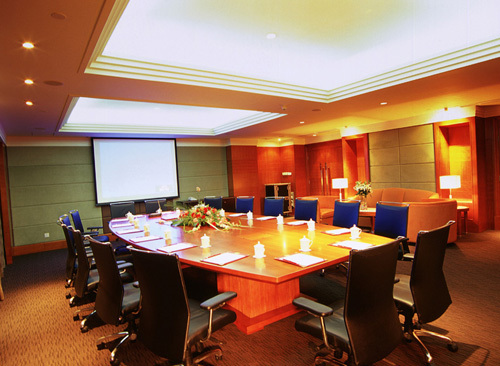 The complete modern meeting equipment makes you honorable and successful. It is a large conference hall constructed up according to the international 5-star standard, equipped with 328 seats consisting of up-to-date and comfortable intellective meeting chairs. 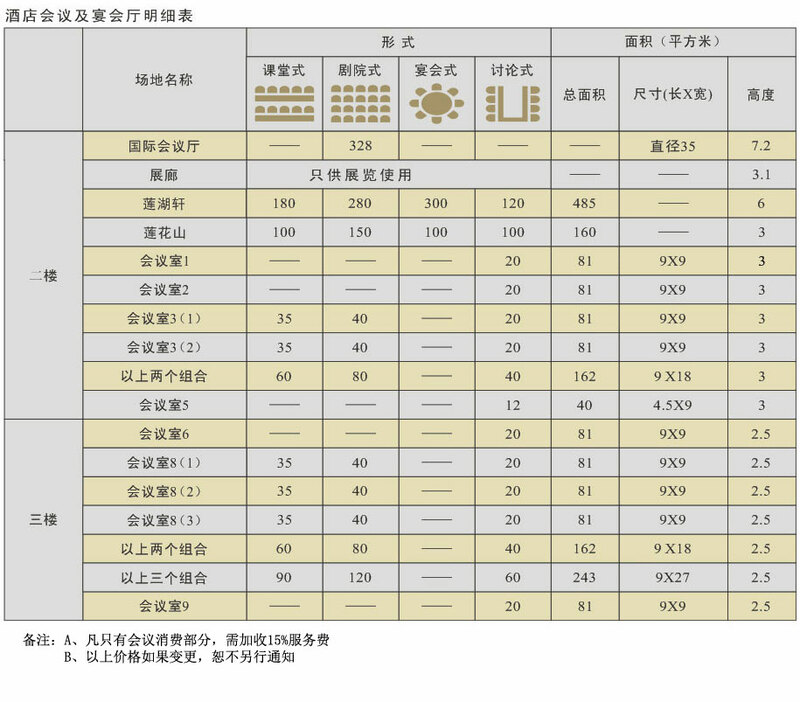 There are international top-ranking conference equipment, including 5 languages simultaneous translation, digital vote equipment, professional conference acoustics equipment, lighting and a projection room. 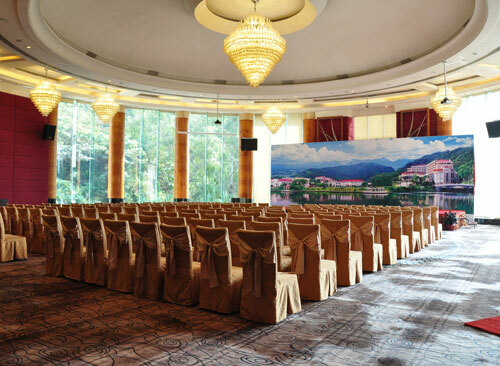 With the decoration in elegant style, it is an ideal place for holding international conference. This multi-functional banquet hall is elegantly decorated and provided with some conference facilities, making it suitable for for holding all sorts of meetings. There are 13 business conference rooms of different styles which are able to meet your requirements for holding high-level staff meetings, business meetings and gatherings and various kinds of exhibitions. This multi-functional banquet hall is elegantly decorated and provided with some conference facilities, making it suitable for holding medium-small-sized meetings of all sorts, and an ideal place for business gatherings.